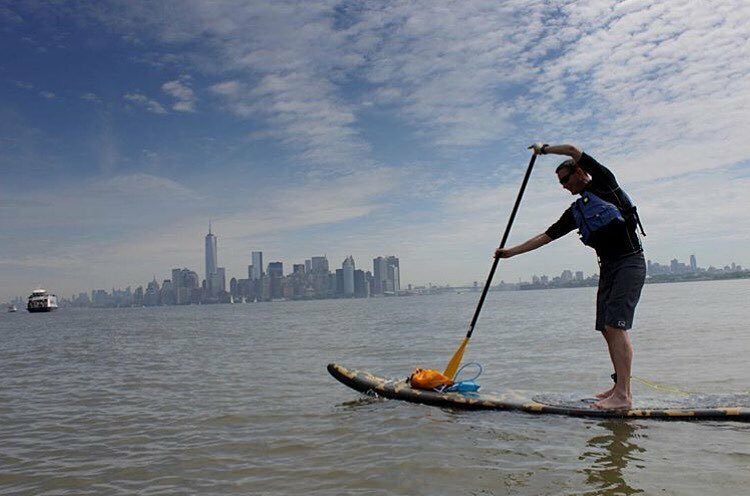 WHAT: SEA Paddle NYC is an annual 25-mile paddle that benefits seven autism charities and the environment, organized by the Surfers’ Environmental Alliance. WHERE: Paddlers start under the Brooklyn Bridge, paddle north up the East River, into the Harlem River, then down the Hudson River, finishing at Chelsea Piers Marina. HOW: Miller, who moved to Colorado from Key West, Fla., in January, has been working out through a 16-week program designed to train for long-distance SUP races. Her regiment consists of free weight strength training three times a week and taking her 12-foot, 6-inch ocean paddleboard to Twin Lakes in Granite, Colo. for long-distance paddles or shorter intervals with a heart-rate monitor. The SEA Paddle course will take her about five to seven hours, depending on conditions. “Then there’s tons of beer afterwards,” she says, at an after-party aboard a yacht! Paddlers are expected to raise at least $1,000 through donations. To support Trish, click here. For more event details or to make a general donation, visit seapaddlenyc.org or the event’s Facebook page.